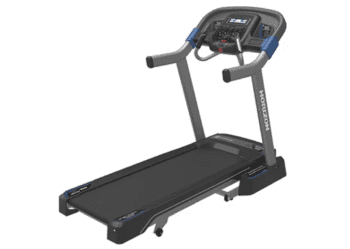 Horizon Treadmill 7.0 AT Review by Industry Experts! 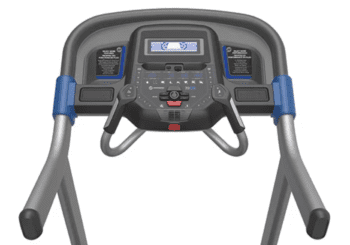 The Horizon Treadmill 7.0 AT is On Sale! 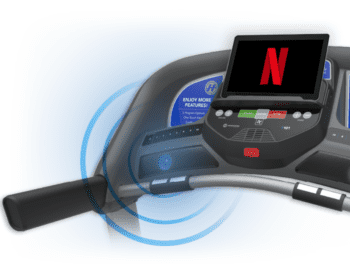 If you are looking for a treadmill that will simply allow you to run to your heart’s content, the Horizon 7.0 AT Treadmill may be just what you’ve been searching for. The 7.0 AT offers some great performance upgrades from the entry-level treadmills, without the bells and whistles attached to the higher price models. The 7.0 AT doesn’t disappoint when compared to the other models in the Horizon line-up. The 3.0 CHP motor is an awesome upgrade that packs a lot of power for a $899 price. Our team visited the North American headquarters of Johnson Fitness, the parent company, and were impressed with their focus on innovation, quality control and attention to their customers. This is the same company that also makes Vision Fitness and Matrix Fitness treadmills. MID-WEEK SALE ENDS THURSDAY: The Horizon 7.0 AT is ON SALE for $899 and they are throwing in FREE Shipping and a 100% Guarantee. 3.0 CHP Motor – The powerful 3.0 CHP motor on the 7.0 AT means that this treadmill was made to run. This is the same size motor that we find in the Elite T7-02 model which has a price tag of around $1600. As with all Horizon models, you can count on a motor that is built for quality and longevity. This is not an off-the shelf motor purchased by a third party. All Horizon motors are built specifically for their machines which make for less maintenance and perfect integration. Horizon motors are also designed for peak performance at lower RPMs which keeps the machine running smoothly and quietly at all times. Steel Construction Frame – This frame is built to be durable and stand up to a more strenuous workout regimen. Compared to the plastic construction on many price-friendly models, the Horizon 7.0 AT is going to provide you with a solid, steady run every time. 60” x 20” Running Surface – This size running surface is going to be comfortable for most users. The 60” length provides space for taller users or those with a longer stride. 12mph Speed & 15% Incline- Whether you like to do speed intervals, HIIT workouts or long distance, the 7.0 AT has you covered. The combination of speed and incline is going to allow users of any ability level to get a great workout. 253 lb. Unit Weight – The heavier weight of this machine guarantees you a solid running surface, even when you are taking advantage of high speeds and inclines. This also eliminates bouncing or moving when you run, to keep your workout quieter. If you live in a shared living space and don’t want to disturb your neighbors this is a plus. In addition, the heavier machine makes it capable of handling users up to 350 lbs. This is a higher recommended user weight than we usually see in models under $1000. This helps make fitness more accessible for many users. 7” LCD Screen w/ 16 digit alphanumeric LED display – This is one area where you aren’t going to see the fancy technology upgrades that you find in more expensive models. That being said, the 7.0 AT does include Advanced Bluetooth connectivity so that you can stream media from multiple devices to play music, track your heart rate and track fitness stats. The 7.0 AT also works with the free Horizon fitness app to give you real-time workout tracking and allows you to control your workout from your device. Folding Capability – The 7.0 AT is a folding treadmill, which is great for those that live in smaller spaces or want to tuck their treadmill away from tiny hands when it’s not in use. Variable Response Cushioning – This is a system that we find on Horizon models that is really great for curbing the wear and tear on your joints that comes with running. The 3-zone cushioning is specifically designed to work with your natural stride. You receive more cushion at the front of the belt where you need to absorb the shock of landing. Meanwhile, the rear of the surface is a little harder to allow you to push off for better forward motion. 1.6mm 2-Ply Belt – This is a belt that is going to require some regular maintenance. It certainly isn’t the thinnest belt on the market and can withstand regular use, but it will need to be lubricated. Brad reviewing the Horizon T101 at company headquarters. If you are looking for a treadmill that you can count on to let you get in your workout every single day, then the 7.0 AT will absolutely do the job. 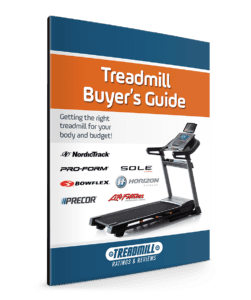 The 7.0 AT has all the features that make this a great treadmill, built to withstand the more strenuous and demanding regimen of a runner. The 7.0 AT may not have all of the fancy bells and whistles that you find on the more expensive models, but it is a high-quality, powerful, durable machine that won’t shock you in the price department. The 3.0 CHP motor, 60” length running surface, and heavy steel frame are features that you would often pay over $1000 to get. However, the 7.0 AT gets you all of these things for around $899. These features also combine to make this a quiet treadmill, great for those that don’t want to disturb anyone around them. Plus, it can be folded away when you’re done to save you precious floorspace. The Variable Response Cushioning is also extremely important on a runner’s treadmill. Protecting yourself from the wear and tear associated with your workout can make a huge difference in your long-term ability. While you may not get virtual programming or Wifi capability with the 7.0 AT, you aren’t completely without entertainment and motivation. Bluetooth capability will allow you to set and track your goals while you play your favorite tunes to keep you moving. You can also use the tablet rack and USB charger if you feel like queuing up your Netflix. Overall, the Horizon 7.0 AT treadmill is a great machine for an excellent price. If you are looking for a treadmill that can handle your demanding running routine without worry, but don’t want to break the bank, the 7.0 AT is a fantastic option. Similar machines from Horizon include the T202, Adventure 5, and Elite T5. To learn more about the Horizon 7.0 AT treadmill, check out HorizonFitness.com.